A Ukrainian initiative to construct a sizable statue in recognition of Satoshi Nakamoto has recently been gathering steam. If realized, the project would see a statue erected on a platform in central Kiev which previously served as the base for a statue of Soviet leader Vladimir Lenin. Moreover, the monument would mean that Ukraine is following in the footsteps of Slovenia, which established a Bitcoin installation mere months ago. The prospective site for the installation, opposite to the Bessarabsky Market in central Kiev, has not been chosen at random. 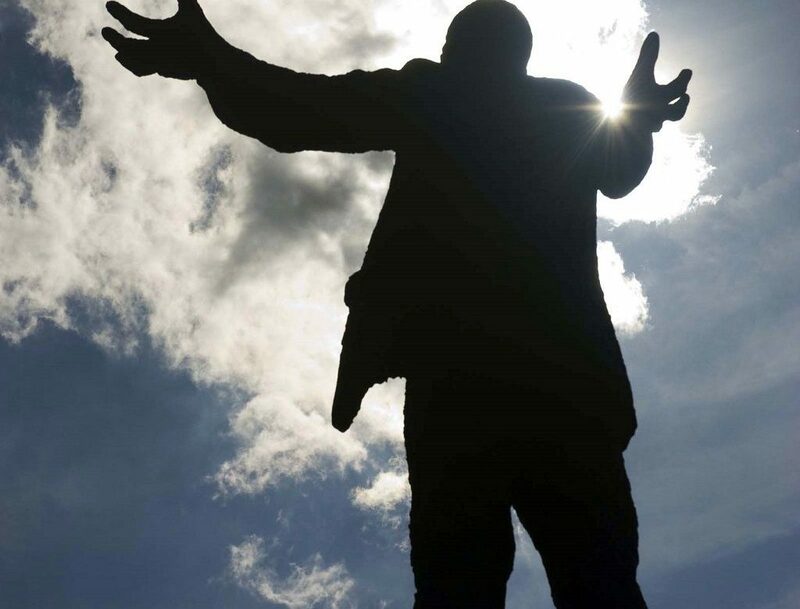 It is an area of great significance, as it traditionally housed a monument of Vladimir Lenin – a statue which served as a constant reminder of the Soviet Union. Considering how most Ukrainians have grown disillusioned with the now defunct communist state, to say the least, it probably won’t come as a surprise that the statue of Lenin was overturned and subsequently disturbed during a protest in December of 2013. The toppling of the Lenin statue was one of the more significant acts by protesters in the series of ”Euromaidan” demonstrations that lead to the current political situation in Ukraine. In February of 2014, activists took to the site and installed a gilded toilet on the platform – supposedly in recognition of what the activists regarded as ”rampant corruption” in Ukraine, following a rumour that the concurrent president, Viktor Yanukovych, had golden lavatories in his country estate – which was a palace in all but name. Fast forward to today, and it is easy to see why the site holds a great deal of historical significance. A monument in recognition of Satoshi Nakamoto would serve to further the public awareness of Bitcoin and the blockchain in general, as well as signal that Ukraine is looking to the future. However, this statue will not be visible to the naked eye – at least to as of yet. Instead, the initiative is looking to design a virtual Satoshi monument, which passersby can view using VR and AR software on their smartphones. Nonetheless, those behind the initiative intend to file a petition to Kiev’s City State Administration, as well as apply for permission to actually construct a physical statue of Satoshi Nakamoto. They hope to raise the needed funds through crowdfunding – and they have already attracted the interest of a Ukrainian entrepreneur who has kicked things off by donating 1 Bitcoin. A potential statue in Kiev would however not be the first public installation in recognition of the blockchain and Bitcoin – as Kranj, a city in Slovenia, opened a Bitcoin-themed roundabout this past March.